When the 2018 Commonwealth Games were held on the Gold Coast earlier this year, much of the activity centred around Broadbeach. As well as introducing more people to this stunning seaside suburb, it also attracted a great deal of infrastructure investment, which is now benefitting all visitors to the area. Broadbeach is home to one of the most famous eat-streets on the Gold Coast and, thanks to the Commonwealth Games, it received a multi-million-dollar makeover. Now pedestrian-only, it not only offers amazing restaurant and café choices, but also a truly European feel with its alfresco dining and street entertainment. 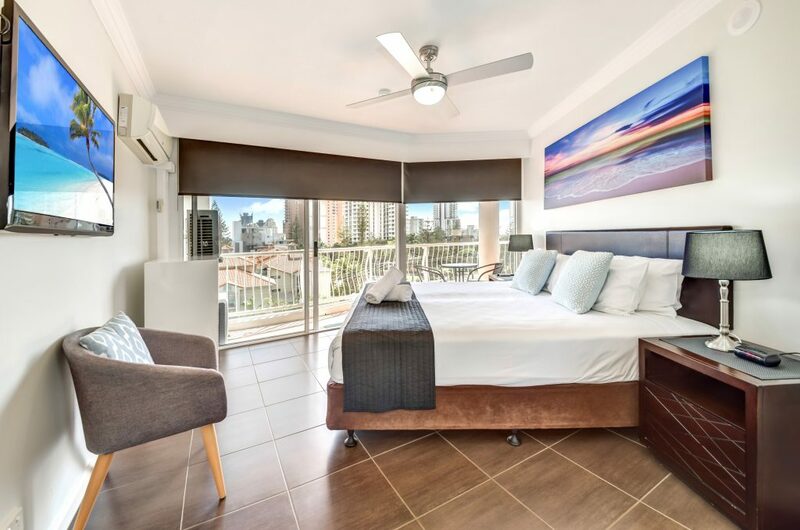 This area is a bit hit with those who choose Broadbeach holiday rentals, largely because it’s just walking distance from their accommodation. Imagine being able to stroll down to the strip for brekkie. Or enjoy dinner with a few glasses of wine knowing you don’t have to worry about driving or taxis. Broadbeach luxury apartments are popular with couples seeking a weekend away, as you’d expect. But they are also increasingly popular with families and business travellers. This is because more people are realising that ‘luxury’ doesn’t have to mean over-priced! Take the Phoenician Resort, for example. It’s a AAA 4-Star resort yet it offers great deals on its luxurious accommodation. As a result, business folk often choose an apartment here over hotel accommodation. With space, privacy and security, it’s easy to see why. Families love this accommodation because it’s spacious and so well equipped; the apartments even have fully-equipped kitchens and laundry facilities. The resort is not only next to the beach but also offers fabulous resort facilities to keep the kids busy all day. The fact is, when you work hard for your money, you deserve to spend some of it on yourself! So, if you can combine a family holiday with a little luxury for yourself, why wouldn’t you?